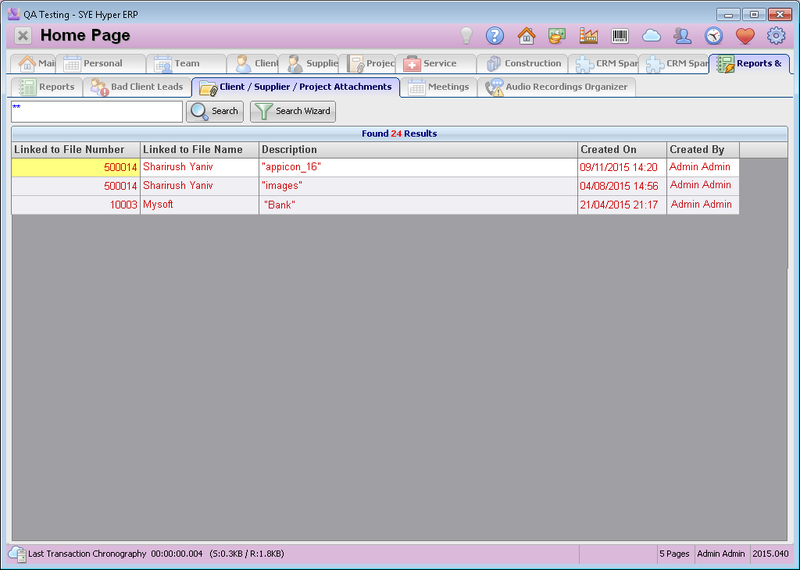 Hyper allows to relate documents and files to Client / Supplier / Project cards. This is an informative tab that presents all of the saved documents and files and their location in the system. The "Linked to File Name" field is the name of the Client / Supplier card and the "Description" field describes its location. Double click on a file record in order to open its card. The user can search for a required file by using the searching field at the top of this window. Alternatively, use the search wizard to create customized filters or to find files according to existed filters.